A Black Panther dinner menu calls for recipes on the cutting-edge of cooking trends. This record-shattering Marvel movie deserves only the best. Media Medusa’s resident chef, Mariannette Calon-Munoz, is back with a Black Panther dinner menu that’s inspired by African recipes and gastronomy. What is gastronomy? I had no idea. Mariannette explained that it can mean a lot of different things, depending on who you talk to. In this case, gastronomy refers to using food science to make a food that imitates another food. Mariannette chose to do this because Wakanda, the fictional country that’s at the heart of Black Panther, is the most technologically advanced country in the world. Using a recipe that’s got some science going on is meant to mimic the feel of a cutting-edge trend. The first thing we cooked was the stew. I say “we,” but my contribution was mostly my delightful conversation while Mariannette did all the chopping, cutting and cooking. As usual. 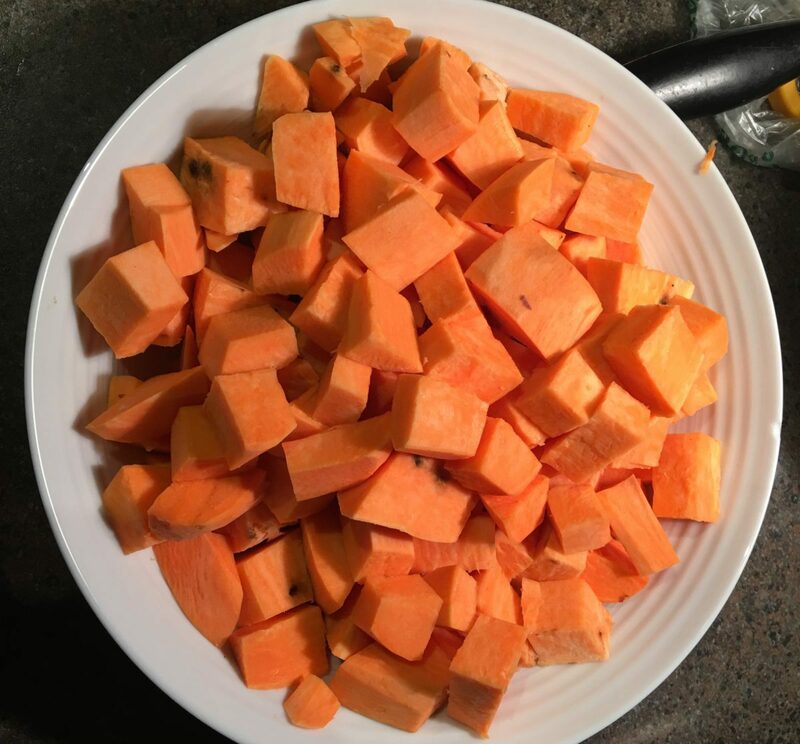 Next, she cubed sweet potatoes. 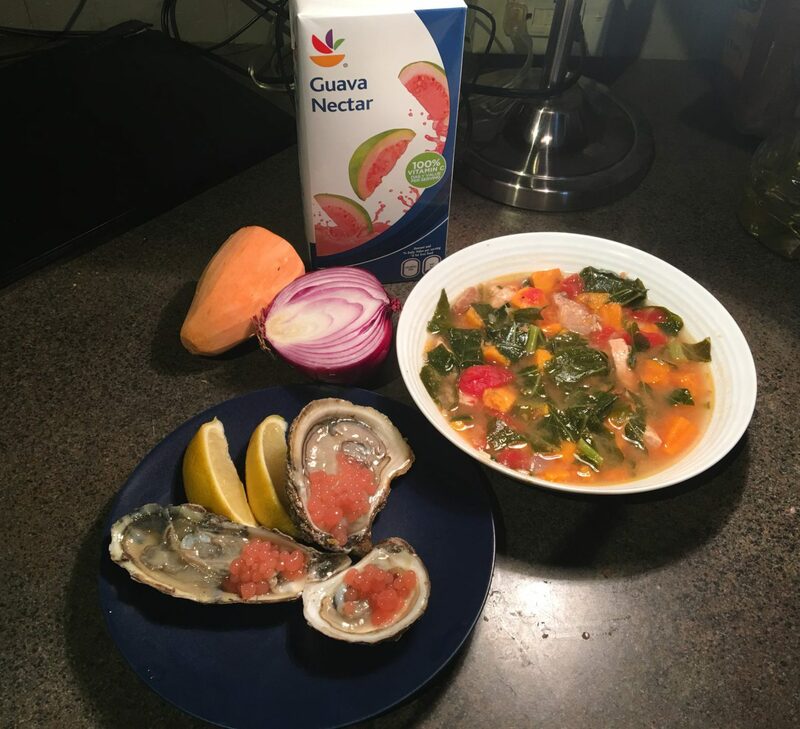 She sautéed those ingredients, added the broth, and let it simmer while we made oysters and guava caviar. 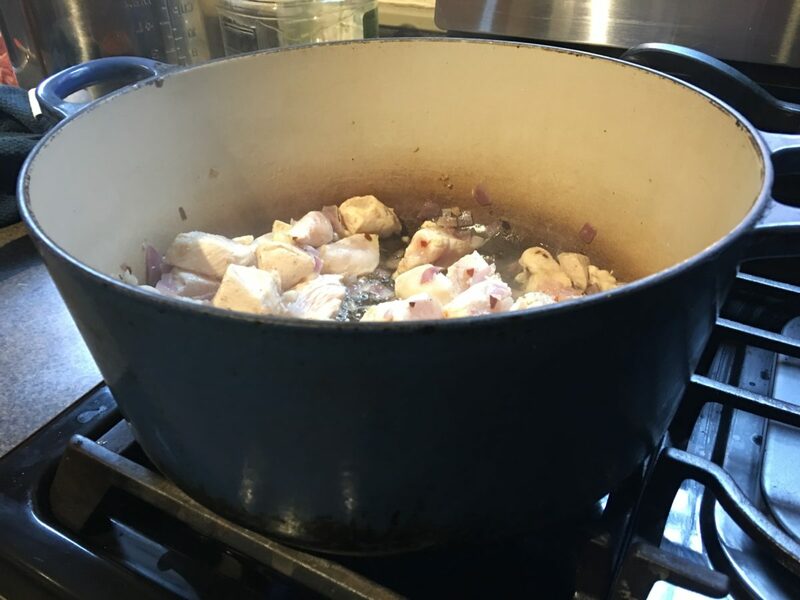 Stew begins to, um, stew. At this point, Mariannette trusted me enough to let me cook up the guava and agar agar. 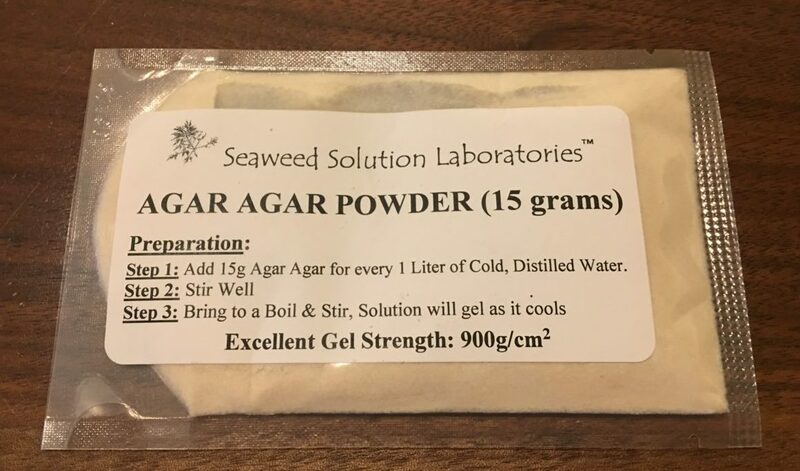 Cooking the agar agar and the guava nectar together gave the nectar a syrupy thickness we needed to make the caviar for the Black Panther dinner menu. 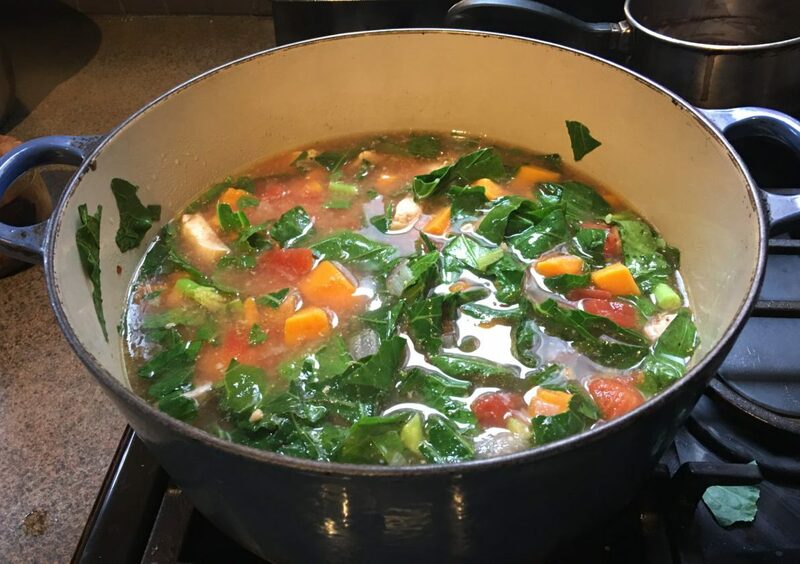 While the guava and agar agar were cooking, Mariannette added the rest of the ingredients for the stew. We started out dipping the straw, placing our fingers over the top (to create a vacuum), then releasing our fingers to drop the guava juice. It took forever! Our hands started to cramp! 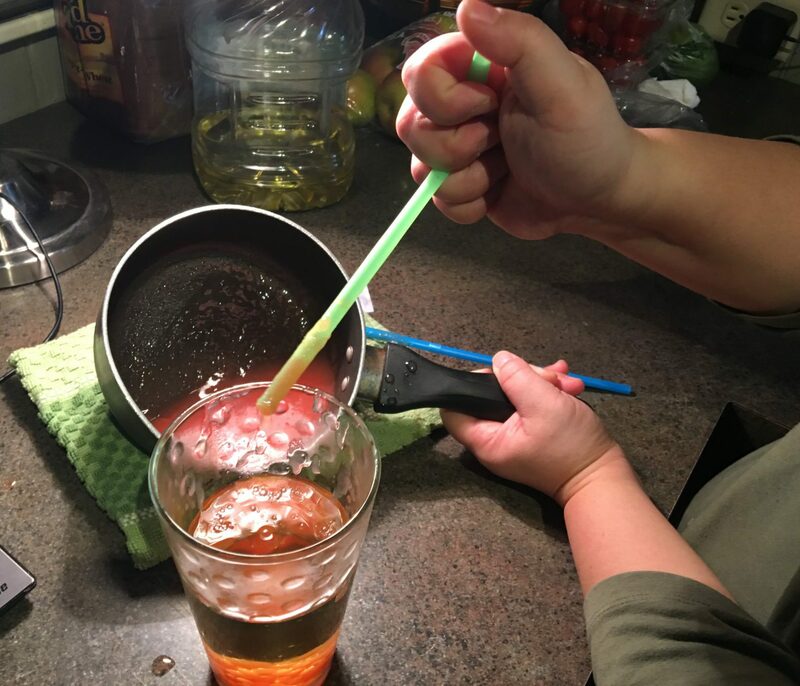 Then, Mariannette discovered that if you bent one end of the straw to a 90° angle, you could scoop up more of the nectar in one go. Then it was “bombs away” with a whole pay load of guava nectar. The second method was much more efficient and much quicker. 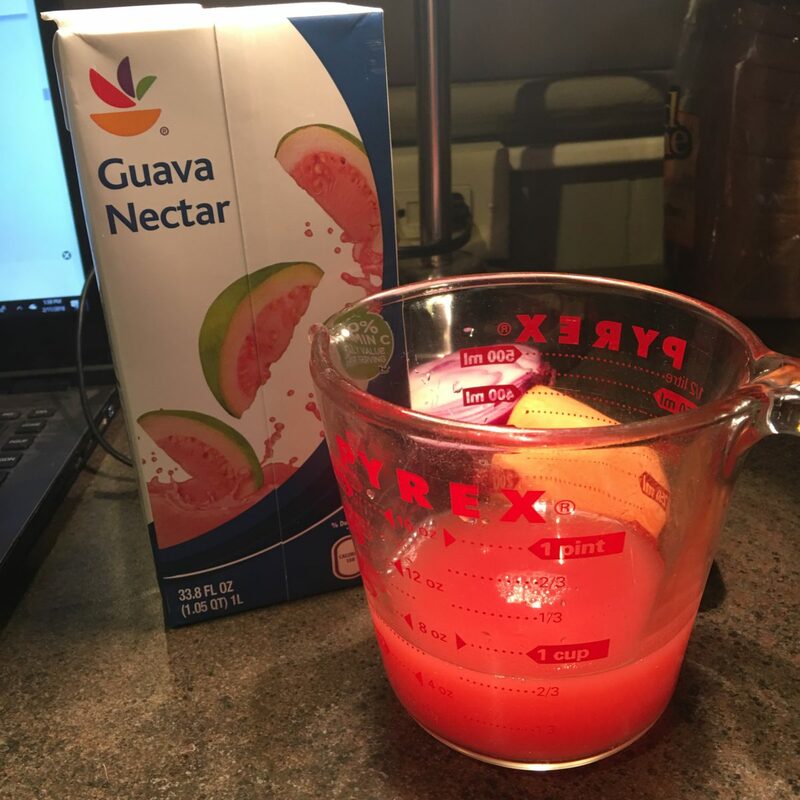 Better method for making guava caviar. 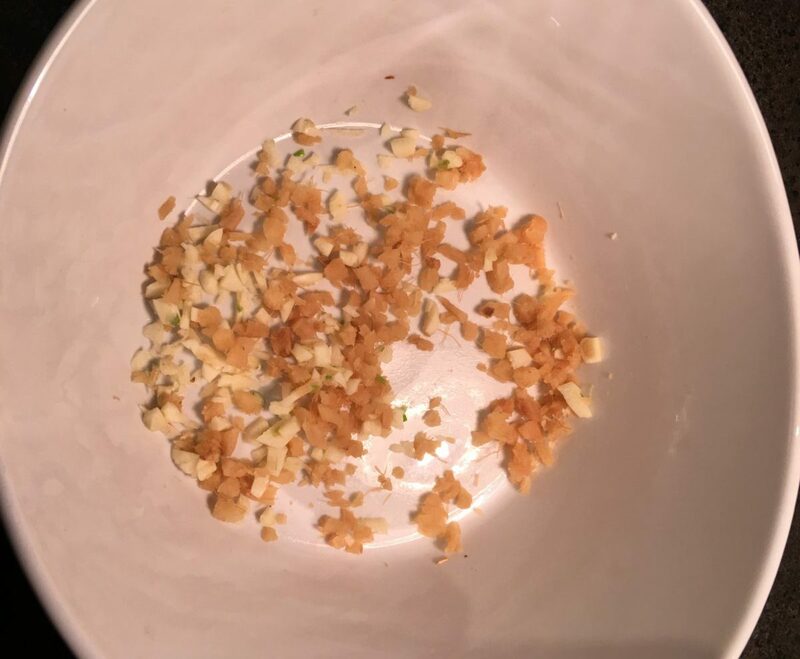 Then Mariannette drained the oil from the guava caviar using a colander. 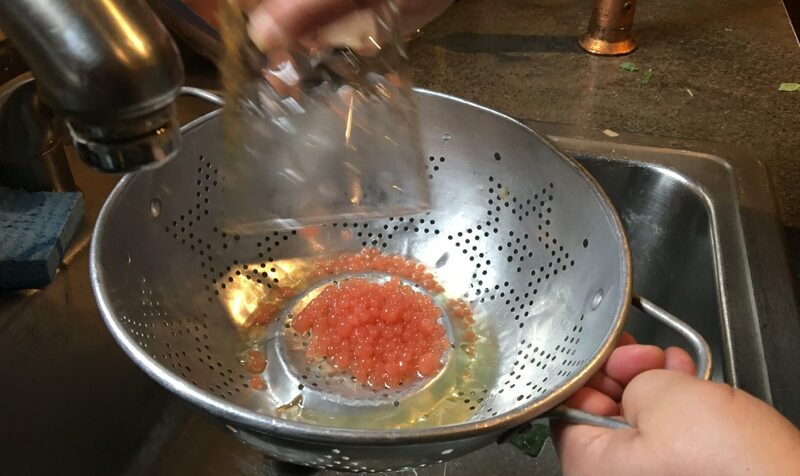 We do not recommend trying to rinse off the oil; the water nearly dissolved our hard-won caviar. At this point, Mariannette’s husband grabbed a broad knife and shucked a handful of fresh oysters for us. And when I say fresh, I mean FRESH. We walked to the local seafood market and bought them just before we (she) started cooking. 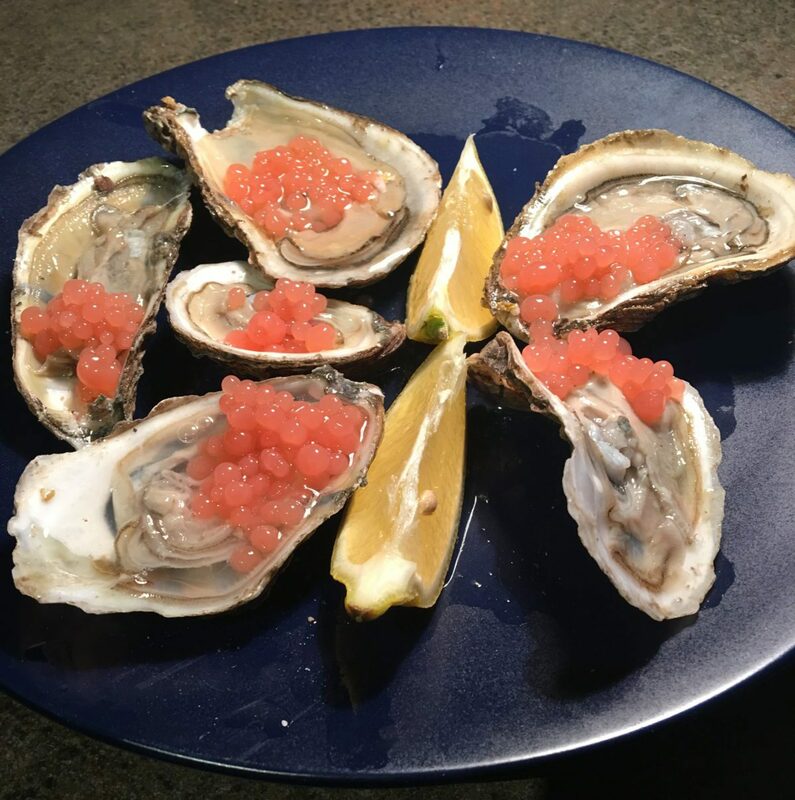 Then Mariannette plopped a big spoonful of guava caviar onto each fresh oyster. Oysters on the half-shell with guava caviar. Our Black Panther dinner was delicious! 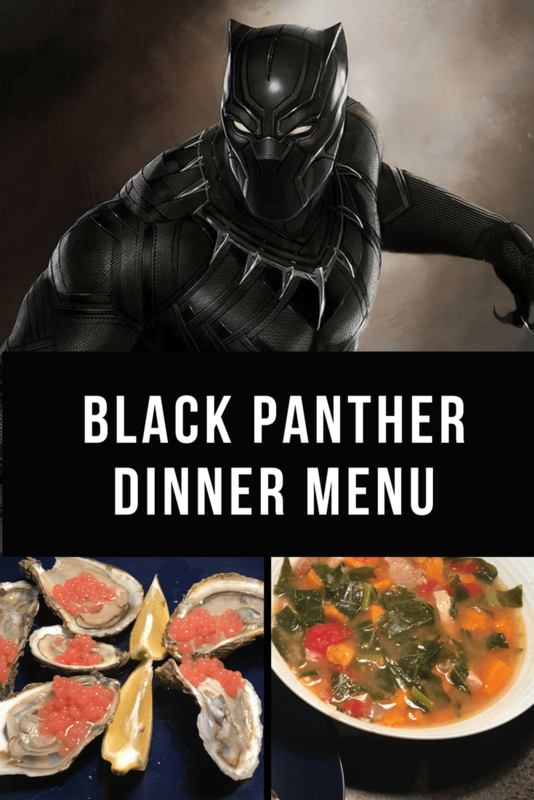 Plus, this Black Panther dinner menu is very healthy, which makes it the purr-fect meal for Wakanda’s superhero. The Black Panther dinner was healthy and delicious. Thanks for reading! You might also enjoy Mariannette’s Outlander dinner menu or Marvel’s The Defenders dinner menu. Thirsty? Check out this Black Panther cocktail that introduces you to molecular gastronomy, from Savoring the Good. Mariannette Calon-Munoz is a licensed Nurse Practitioner who works in a cardio thoracic unit. 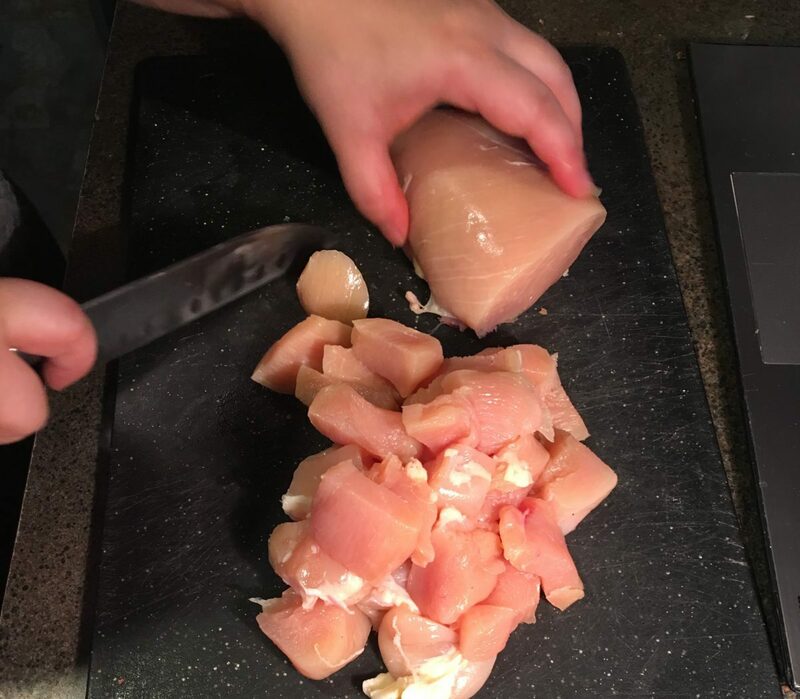 Cooking is her passion. Look for more themed food posts from Mariannette, a Media Medusa contributor. Hey, Media Medusa, where have you been? Hi! I’m Nancy Basile. I want to take away the frustration of looking for something to watch. Be sure to sign up for my newsletter to get TV and movie content every week. Media Medusa is a participant in several affiliate advertising programs designed to provide a means for sites to earn advertising fees by advertising and linking to websites and products. Some of the links on Media Medusa will provide our site with a small commission if you make a purchase. For instance, shopping at Amazon will support Media Medusa.